The best resource on the internet for soundproofing. 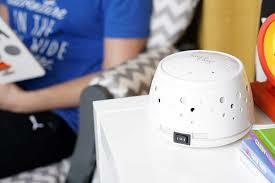 White noise machine makes the office environment comfortable and private by reducing noise distraction. A white noise machine is a sound producing machine that helps in minimizing the background noise. The machine produces sounds such as rushing waterfall, wind blowing through trees and so on. The people suffering from tinnitus uses a white noise machine for masking the symptoms of the disease. It is very important for an individual to know the correct way of using the white noise machine. The manufacturer of the sound masking machine always recommends keeping the volume of the machine at a comfortable level, even if the machine is not providing the full privacy. With the passage of time, our ears and body get accustomed to this noise and then the volume can be increased. White noise can be used as masking noise when it comes to the unwanted sounds in office and home. Let's understand the concept with an example. Suppose you entered a room which is completely dark and you suddenly on the torch. Definitely, the darkness will go, there is no doubt in it but this is not what I wanna highlight. Another important thing that will happen is the visibility of the source, that is, the background is dark so when the torch is on, the source is easily visible. But if we on the torch in a room which is very bright, we will not be able to identify the source of the torch. The reason is very simple and noticeable. The background lights are much brighter than the torchlight. So, the second scenario in our example can be termed as masking of light. On a similar concept, masking of sound is done to reduce the unwanted external sounds. Which is a better option for sleeping, music or white noise? Music is a good option for sleeping but it can't block a wide range of frequencies responsible for unwanted sound. In my opinion, music suits better for relaxation. On the other hand, white noise contains all the frequencies between 20 Hz and 20,000 Hz and this gives white noise a good chance to mask all the unwanted noises that lie between the human audible frequency range. It can be defined as the process of adding background noise to reduce unwanted noise, protect speech privacy, minimize distraction and so on. In the layman language, when you can't understand the thing that your colleague or other office member is saying, then the thing becomes less distracting. Sound masking reduces the radius of distraction, that is, it doesn't eliminate all the unwanted noise rather it just reduces the distance to which a conversation between two people in an environment can be heard. Since you have landed on this page, so I am assuming that you are looking for a suitable white noise machine. Whether you are planning to buy the machine online or offline, you have to be well aware of these parameters. Over a period of time, I have very well understood that my readers are mostly looking for budget products. Keeping this view in mind, I will be reviewing the products under $50 and $100. Some features are exclusively available for high-end products. Nevertheless, you are definitely gonna get a great product in your budget range. Price is an important parameter for most of us as we don't want a heavy dig in our pocket when even a product with decent features and moderate price can do the work. While picking the product, I have kept in the consideration the portability parameter. 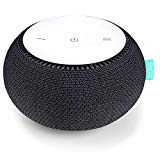 If you are buying a portable white noise machine, then you can carry it to your home and use it for sleeping purpose as well. On the other hand, if you are interested in increasing the productivity and reducing the distraction of your employees, I would rather suggest you buy a bulkier machine. Though this parameter is totally an individual's choice still from my prior experience I can assure you that the product that is appealing has a better probability to perform in the market. On the other hand, I will not deny the fact that many of us give preferences to the features of the product rather just the appearance. If you ask my choice, then I definitely look for a product which is decent in look and comes with great features. Appearance is important because no one wants to have an ugly looking thing in the room or office until and unless its features are really out of the box. 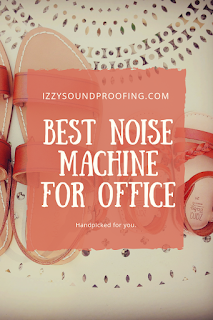 While reviewing the machine noise machine and selecting my favorite list, sound quality and volume is perhaps the most important deciding factor. It's really important to understand that you are not the only one who is pissed off unwanted noise rather most of your colleagues are sailing in the same boat. So, definitely, you will not want to buy a machine which again adds a lot of noise to your office environment. Correct me, if I am wrong. I will recommend you to look for the acoustic sound machine rather than the electric counterpart. Some other important features that you need to look for are non-looping claims, few volume settings, and a machine capable of producing various other sounds. 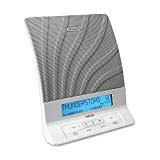 Please allow me to present the best white noise machine for the office purpose. I will start with the budget ones and then will move to the one that is the costliest. While doing so, please be patient and bear with me. Just to clarify, if the machine comes under a budget category, it doesn't me it is not good or effective. Everyone customer has a different need and to target, the need company comes with a product variant. I can assure you that all the products taken for the review are among the best in their category and justify to satisfy a particular customer segment. There is no doubt that the costliest ones have additional features and a good appearance but it doesn't mean from anywhere that it will be a great option for everyone. This product is perhaps the best in the cost-effective segment, it comes under $30. A highly recommended product for those who are looking for a machine that can help in sleeping, reducing the distraction in the office, calming a baby. In short, this machine can be used for one person at a time. The USP of this product is the compact design, 7 nature sounds, and adjustable volume. You don't need to worry to switch off the machine. The auto off timer gives you an option to switch off this white noise machine after 15, 30 or 60 minutes. So, start the machine, select the tone, adjust the volume, set the timer and go for a peaceful and uninterrupted sound sleep. If you are planning to use this machine in the office, then the headphone helps you to use this machine effectively without disturbing or irritating your colleagues. If you want your baby to sleep properly, I will suggest you use natural sounds such as ocean wave, summer night, rainforest or lullaby. 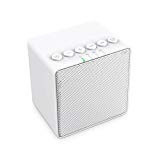 If you are ready to spend a couple of dollars more than $30, then this white noise machine is a value for money product. A highly compact (3.5 x 2.6 x 3.5 inches) product along with a low weight(15.2 ounces) makes this product highly portable. One thing that I liked about this product is that all the sounds played by this machine are natural, realistic, and free from scratches. The in-built intelligent memory function helps the machine to remember the previously set volume level, audio track, and timer. To have a codeless runtime for approximately 12 hours, this white sound machine has inbuilt 2500 mAh lithium battery. Last but not least, this sound machine has a superior sound quality. To support my statement, I would like to inform you that the speaker of this machine is produced by the same manufacturer as JBL and Harmon Kardon. This white noise machine weights 1.6 pounds and is 3.2 inches tall which makes it portable. This product costs around $50 and is useful in the sense, you are exclusively looking for the machine that can help your baby sleep well. The machine consists of dual motors, a unique asymmetrical fan which creates a soothing sound of rushing air. This machine also creates Marpac Signature Sound but before buying it's good to see whether you are comfortable with this sound or not. 2 fans speed produce DOHM sound. 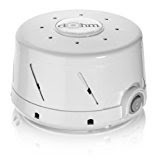 When it comes to changing volume, this white noise sound machine comes with two options, that is, high for noisy environment and low for everything else. You have to simply plug in and flip the switch. Once you have selected the volume, next thing you have to do is to fine tune the pitch as per your requirement. You can do so by rotating the upper casing. The unique thing about this white noise machine is the use of patent-pending Sleep Therapy technology. The company claims that this technology mixes white noise with relaxation tones and, as a result, an individual can fall asleep faster and for a longer duration.In case you aren't interested in the present therapy program, then you can choose from four nature tones, four white noise tones, and four water tones.To add to your comfort, this white noise machine comes with a remote. Volume, Display Brightness, and 90 Minutes Timer. Though the machine weighs 2.8 pounds and is 8.2 inches tall still it's a great option for your cubicle. The display screen is of great use as it tells you about the sound being played, the time on the timer left, brightness and volume. Definitely, it's an enticing product at $50. This is a very popular product among the office goers. The 4 inches heptagonal base and 2.25 inches height make it a great option to carry it to the office. 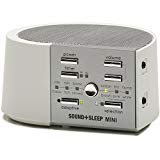 To utilize the space efficiently the manufacturer of this white noise machine has put the speaker on the top and the control buttons on the side. It costs around $50. I just want to highlight that other than white noise, it can also produce pink noise and brown noise. I hope you must be aware of these noises and in case you aren't, then stay with us, we will help you understand. To make it sweet and simple, you can call pink noise a white noise but with reduced higher frequencies. Some people find white noise a little unpleasant and thus, they can try pink noise as it resembles steady rainfall or wind. If you aren't even comfortable with the pink noise, then you can try brown noise. It lowers the higher frequencies even more and resembles the sound of a roar of river current or thunderstorm. If you ask me, personally I am a big fan of this particular sound therapy system. The best thing about this sound machine is that you can add sound, but you need to use SC-250 series sound cards only. It's a world only sound card technology to add more sounds. The company boasts that this sound machine can be of great help to patients with tinnitus. A timer with four selective options, that is, continuous, 30, 60, and 90 minutes can help you to decide the time for which you want to use this machine. If you have a scarcity of space in your cubicle, then you can be hung on the wall. 6.5 inches tall and weighs 1.19 pounds. 4 AA Batteries and AC Charging. "Gradual Off" volume reduction feature. You also have the option to use headphone, and it comes with a unique "gradual off" feature which helps in a peaceful decrease in sound volume. It stands tall at a mid-range price of $50. 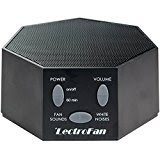 If you are looking for a white noise machine which is lightweight, easy to pack, accept headphone, able to use batteries, and loud enough to hear, then this machine is perfect for you. So, what are you waiting for? The product is 2.6 inches tall and weighs 9.6 ounces. It comes with lots of flexibility, as it is not just another white sound machine. 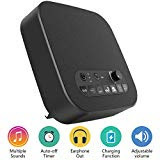 You will get inbuilt 10 sounds and if it doesn't suffice you, then you can use the sound of your choice with the help of Bluetooth which has a range of 30 foot or 10 meters. This device best suits the office where during the break you can use the inbuilt speaker to play songs. You can turn on this device by holding and pressing the BST-100 power button for 3 seconds. It costs around $60 and maybe a bit costlier. All the control devices are placed at the bottom of the device. On the downside, the loop of the inbuilt song is approximately 8 hours. If you are looking for a sound looping of 12 hours, then perhaps this product isn't for you. A quite compact and portable sound machine which weighs 1.6 pounds and the height is 6.5 inches. This little gem comes with a white, pink, and brown noises to help you get better sleep. The speaker is on the top and all the control buttons are on the side. In this machine, you get 12 audio programs each with multiple options. These audio programs are extensive, detailed, robust and non-looping. Sleep Timer and Auto-dimming Controls. 10 Non-Looping High Fidelity Sounds. This device comes with two settings "adaptive" and "richness". When you switch the machine to an adaptive feature, it adjusts the audio volume by listening to the environment and responding accordingly. On the other hand, the richness feature allows you to adjust the content in each track. The intuitive control panel lights up when you are using the machine and automatically dims to minimize the distraction. Though this white noise machine costs around $70 still I will say it's value for money. If you ask me, this white noise machine is a beauty with features. Though you can take home this beauty at $100 still it's worth it, isn't it? What you see from the outside is an acoustically optimized enclosure. The first-ever nursery calibrated white noise machine. I would love to talk about this machine because I have bought this sound machine a few days back and trust me, I am simply loving it. You can set the tone of this machine by simply rotating the outer shell. It comes with 10 volume settings and you can adjust it with up/down buttons. You can use the companion app to control this machine remotely. The best thing about the companion app is that it features a "Nursery Calibration" tool to protect your child's ears from the sound that is too loud. I can assure you that this machine is one of the best white noise machine available on the market. It uses ultra-efficient DC motor and thus, uses energy equivalent of a 6W LED bulb. In the layman language, the power annual consumption of this machine is 98% less than that of average box machine. This machine is highly recommended for travel enthusiasts. As the name suggests, this machine has a feature of air purifier and white noise machine. It uses 4 stage filtration process to effectively eliminate air pollutants and foul odors. 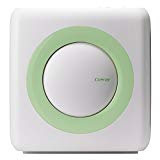 It also has an air quality indicator which keeps a track of the quality of air and when needed kick air purifier into high gear. The machine weighs 8.8 pounds and is 8.3 inches high. 3 Speed Air Flow Control. Along with 2 stage filters, it also consists of ionizers. These ionizers help the machine to remove pollutant effectively. The filter change indicators give you the warning to replace the filter. You can set the timers for 8 hours. The product is energy star certified. This machine can be of great help to those who have a breathing problem or the ones who live in a polluted industrial area. The beach waves sound work great for the kids, they go right away to the sleep. Trust me, Guys, you are gonna love sound effects. As compared to the competitive products, the HEPA filter used by COWAY are inexpensive to replace. Since the control buttons are on the top, so you will not find any difficulty to use it. The LED shows the status but on the downside, there is no button to turn off the LED. On the first and second speed button, it will be quiet. At the MAX speed, it will be loud. I hope this guide will help you to get a clear idea of the white noise machine. I have tried my best to review a mix of products. Either you have trouble concentrating on your work or difficulty in sleeping, these products will definitely be of great help. So, what are you waiting for? Buy one that suits you. We are a participant in the Amazon Services LLC Associates Program, an affiliate advertising program designed to provide a means for us to earn fees by linking to Amazon.com and other affiliated sites.